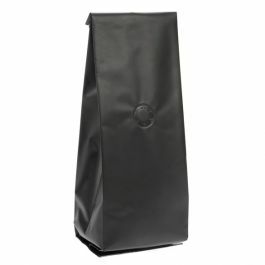 Our SGC2S Silver Coffee Bag measures 3 3/8" x 2 1/2" x 13" and holds 12-16 oz (based on whole coffee beans). A one-way degassing valve extends product freshness for coffee, teas, and specialty food items. This side gusseted pouch features a high barrier to protect against moisture and air. Heat seal to close or fasten with an adhesive tin tie. 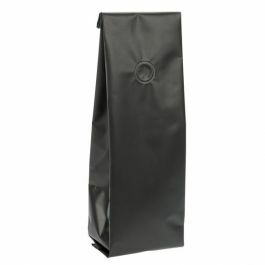 Whether you favor mild Arabica or the more bitter Robusta beans, this Silver Coffee Bag with a one-way degassing valve is your solution to product freshness. 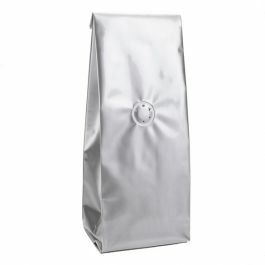 Our SGC2S Silver Coffee Bag measures 3 3/8" x 2 1/2" x 13" and holds 12-16 oz. 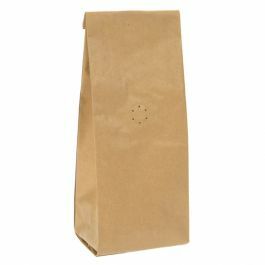 Ideal for coffee and teas, this pouch works great for any product that needs protection from oxygen and moisture, especially foods with active ingredients such as yeast and cultures. The one-way valve releases the pressure of trapped air and gas while preventing outside air from entering the bag. 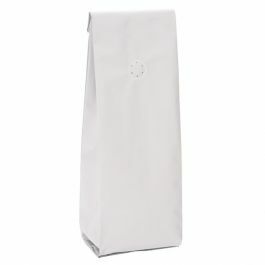 Made from a combination of materials, this bag offers an aluminum interior with an excellent moisture and air barrier. 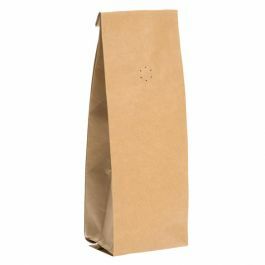 Seal bag with a standard heat sealer or an adhesive tin tie. Outer Dimensions: 3 3/8" x 2 1/2" x 13"